Extreme tool wear resulting in short tool life is one of the main issues in the cutting process of near-beta Ti alloys. 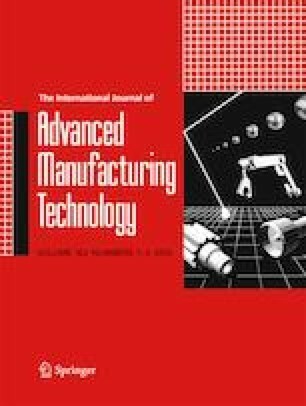 This study provides extensive experimental results and new findings that help to understanding progressive tool wear and the corresponding measures in high speed machining of Ti-5553 alloy under various coolant and lubrication (dry, flood, high-pressure coolant, MQL, and Cryogenic cooling) conditions at finish and semi-finish cutting. Cutting temperature, progressions of tool wear, and tool life are presented. Besides, cutting forces, frictional conditions, and chip morphology are studied. This current work provides evidence that supports the argument that the feasibility of high speed machining of near-beta titanium alloys that depends on cutting conditions, namely coolant and lubrication used during machining. It was found that tool wear is developed by an abrasive and adhesive mechanism, and built-up-edge formation is a common problem in the machining of this alloy. A high pressure coolant supply with its cooling and lubrication ability was found to be very helpful for decreasing the coefficient of friction and temperature during the process, consequently lowering progression of wear and cutting force components when compared to other cooling and lubrication conditions tested in this study. The greatest tool life is achieved by high-pressure coolant supply, and cryogenic cooling achieves the second greatest tool life. Minimum quantity lubrication is found to be inefficient for improving the machining performance of this alloy. Finally, it is found that the selected depth of cut has vital effect on the penetration capability of cooling and lubrication in between tool and chip, and consequently, it plays a significant role in the contribution of cooling and lubrication to the machining performance of this alloy. The authors thank TUBITAK (The Scientific and Technological Research Council of Turkey) for supporting this work under project number 214M068.